NEW YORK--(BUSINESS WIRE)--Ellen’s Design Challenge, which ranked as one of the highest-rated series in HGTV history, returns to the network in January 2016 with several surprise guests joining the judging panel and more of HGTV’s popular builders and carpenters stepping up to assist the contestants in their bid to win a $100,000 cash prize and the opportunity to see their work featured in HGTV Magazine. First conceptualized by television icon Ellen DeGeneres, one of the world’s most popular and influential stars, the furniture design competition from Telepictures adds more competitors and jumps from six to nine episodes, including a fun, 60-minute special that captures humorous behind-the-scenes moments. During its first season run on HGTV, Ellen’s Design Challenge delivered more than 12 million total viewers and consistently ranked as a top 10-rated cable program for the Monday 9p-10p time period among A25-54. 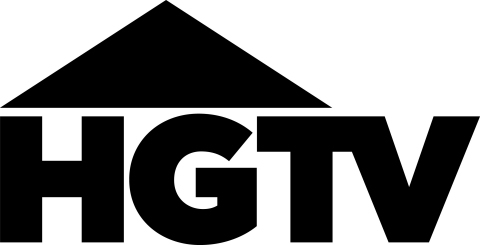 America’s leading home and lifestyle brand, HGTV features a top-rated cable network that is distributed to more than 96 million U.S. households and the HGTV website, HGTV.com, the nation’s leading online home-and-garden destination that attracts an average of four million unique visitors per month. The brand also includes the HGTV HOME™ consumer products line which showcases exclusive collections of paint, flooring, lighting, furniture, plants, fabrics and other home-oriented products. In partnership with Hearst Magazines, the HGTV Magazine, a home and lifestyle publication, is currently available on newsstands. Viewers can become fans of HGTV and interact with other home improvement enthusiasts through Facebook, Twitter, Pinterest and Instagram. Headquartered in Knoxville, Tenn., HGTV is owned by Scripps Networks Interactive, Inc. (SNI). Telepictures is an industry-leading and Emmy® Award–winning producer of innovative, multiplatform advertiser-friendly television series and digital content for the first-run syndication, cable and digital marketplace. Programs produced by Telepictures have won 90 Emmy® Awards in the last 19 years, including Outstanding Talk Show or Outstanding Talk Show Host for 16 of the last 18 years. Current Telepictures series include The Ellen DeGeneres Show, Ellen’s Design Challenge, Extra, Judge Mathis, The People’s Court, The Real, TMZ, TMZ Hollywood Sports, TMZ Live and Candidly Nicole. Upcoming programs include Crime Watch Daily, Heads Up!, Hello Goodbye and Ice & Coco. For more information about Telepictures programming, please visit www.telepicturestv.com. A Very Good Production (AVGP) is the Emmy®-winning television and film production company of producer/writer/actor/host Ellen DeGeneres. Based at Warner Bros. Television Group (WBTVG) with an exclusive multiyear deal, AVGP produces the nationally syndicated daytime talk program The Ellen DeGeneres Show and develops television projects for all divisions of WBTVG, including scripted and unscripted primetime series for network and cable, as well as additional syndicated fare. AVGP’s slate of television projects includes the upcoming animated family comedy Green Eggs and Ham for Netflix; the forthcoming unscripted variety/comedy series Little Big Shots and unscripted relationship series First Dates for NBC; the unscripted design competition program Ellen’s Design Challenge for HGTV; Heads Up!, a fast-paced game show debuting in 2016 on HLN and based on the wildly popular game and app of the same name from The Ellen DeGeneres Show; and Hello Goodbye, an unscripted series debuting in 2015 on the Travel Channel highlighting heart-warming — and sometimes heart-wrenching — stories of love, sorrow, family and friendship from travelers of all cultures and walks of life. Jeff Kleeman serves as President of A Very Good Production. A. Smith & Co. Productions creates some of the most innovative, highly rated and high-quality programming for the domestic and international television marketplace. The company has produced more than 2,000 hours of award-winning programming. Current productions include such hits as “Hell’s Kitchen,” “Kitchen Nightmares,” “American Ninja Warrior,” “Ellen’s Design Challenge,” “Wizard Wars,” “Unsung,” “Full Throttle Saloon,” “Celebrity Crime Files,” “Conspiracy Theory with Jesse Ventura,” “Too Young to Marry?,” “Save Our Business,” “UFC Countdown,” “Joe Rogan Questions Everything,” “Divorce Hotel” and many others. A. Smith & Co.’s library of programming includes hit shows such as “Paradise Hotel,” “I Survived a Japanese Game Show,” “The Swan,” “Trading Spaces,” “Pros vs. Joes” and “Skating with Celebrities.” A. Smith & Co. has developed and produced the No. 1 show in America 25 times and a Top 10 show more than 200 times, producing programs with budgets totaling approximately one billion dollars for more than 42 broadcast and cable networks. For more information, visit www.asmithco.com.